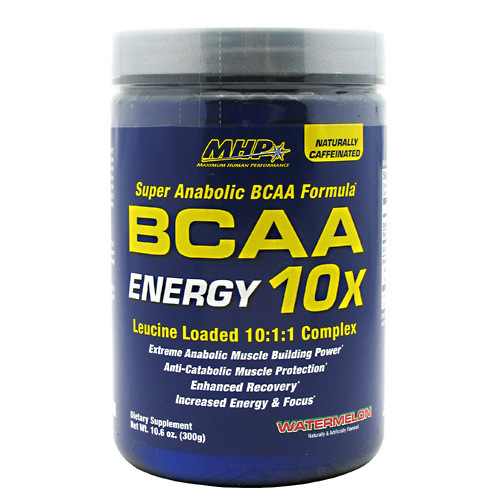 BCAA 10x Energy from MHP is an anti-catabolic muscle formula for after your hardest workouts. Recomendações de uso: Mix 1 scoop with 8-10 fl. oz. cold water and drink 1-2 times daily.